Time for another question from the blog followers today. 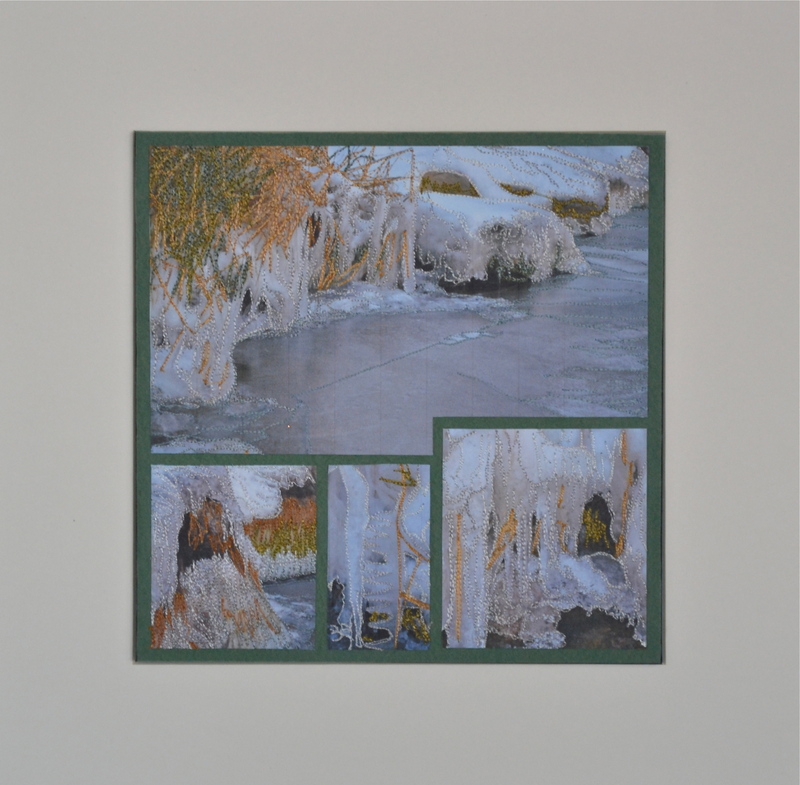 Rhonda A. entered the following query prompted by the March 31st blog post: Question/suggestion: Miniature art quilts, as thumbnail samples for a larger work or as a series on a theme. Any historical record as a popular approach? Thank you Rhonda for raising this timely subject. Let’s start with the historical aspects of Rhonda’s question. Miniatures have been popular in history throughout the ages. One of the first forms of miniatures shows up in Western culture in Illuminated Manuscripts. Persian miniatures depicting various pastoral scenes were painted on paper and kept in muraqqas. The heavy use of gold in the painted frame around the actual image are reminiscent of Illuminated Manuscripts. Ottoman miniature paintings are traced back to the Persian miniatures. These small paintings often included Arabic text and depicted scholarly scenes. Western Culture embraced miniatures during the 16th and 17 centuries. Small painting were created with Gouache, watercolor or enamel. These were used in introducing people over distances to seal an arranged marriage. Women and men alike would treasure miniature paintings of their loved ones when traveling for pleasure, trade and war. With the advent of photography during the 19th century it became easier and more affordable to create keepsakes for family members – a new trend was born. Much more may be found when you research the word “miniature paintings” on the internet or the library. Let’s move on to how we may use miniatures in our work. During my design classes I encourage students to isolate small areas from a photo or even a classic painting. It trains the eye to identify colors, color schemes, line, shape and texture. Small details become acutely visible by isolating 2 – 3 inch areas, blocking the rest of the image. Reproducing these “thumbnails” hones the observation skills further. As a rule I do not use these little drawings in my work. My main sources for work originated from original drawings in my sketchbooks, quick sketches and my photography. Last year’s body of work was inspired exclusively from my photography. Without repeating every detail, I selected approximately 25 images of ice formations along the lake shore. I cropped the images to focus on specific details and printed these on pre-treated fabric. I proceeded to stabilize the images and added bobbin work by machine. These were mounted and framed. See images of the completed work here. The exhibition was very successful with most of the work sold. 20 pieces are considered miniature, each measuring about 4 “ square before they were placed into the 10 “ shadowbox frames. In the past I have taken part in other group exhibitions where the work was framed to 12 “ providing a unified appearance for the exhibition space. Some quilted pieces up to 15 “ were considered miniature, other show guidelines go as high as 24 “ on the longest side to qualify the entrant. This is a vast topic and will warrant further research for anyone interested in creating miniature work. What is YOUR experience with miniatures? Please weigh in below and share your views, insights and experiences. Looking forward to reading the comments! 14 May	This entry was published on May 14, 2013 at 6:07 am. It’s filed under Art, Creativity Update, Design, Journaling, Special Project and tagged miniatures, miniatures in fiber art, Ottoman miniatures, Persina miniatures, portrait photography. Bookmark the permalink. Follow any comments here with the RSS feed for this post. I like to work in a small size, approx 8 x 10 to 15 x 18, to explore a technique or an image. Often it depends on the size of my original image or the background fabric. I don’t consider these miniatures. Some lead to a series, others remain one of a kind. Every artist will find a size they are most comfortable working in. While I love the manageability of the “miniature” my usual size measures around 30 x 40 “. I used the term “Miniature” for the size you work in as that is what most quilt shows refer to… I am in judging teacher mode this week.